Curriculize: YouTube: choose your own adventure! YouTube: choose your own adventure! 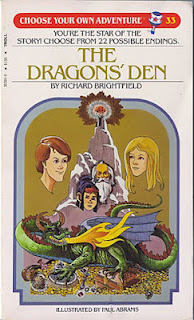 I don't know if you have a read a Choose Your Own Adventure novel, I sure did when I was a kid. Probably because many of them were sword and sorcerer novels. 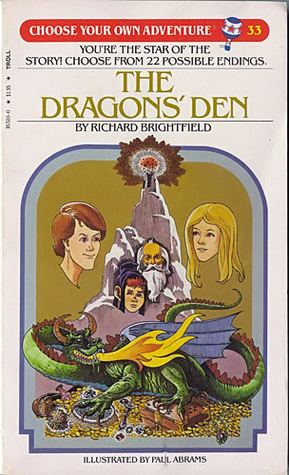 The basic idea is at the end of each chapter you choose where the adventure goes next...does the fighter jump on the dragon's back and follow the beast back to his lair or reunite with his gang of adventurers to pursue the dragon on foot...go to page 36 for option 1 or page 45 for option 2. Well the other day my mind was blown when I heard how a history class in Plymouth, Massachusetts uses YouTube videos to create Choose Your Own Adventure projects. The YouTube technique is not new but fairly unknown; here is one that has over a million views. Mr. Kulowiec's students use this media technique to create personalized history lessons. One which compared the French and recent Egyptian Revolution captured the interest of the wider public and resulted in a NPR Here and Now show. As a former history teacher, it is AWESOME to read about cutting edge learning like this and the icing on the cake is the students were able to share their products with hundreds of NPR listeners. To learn how to make a CYOA video, go here.